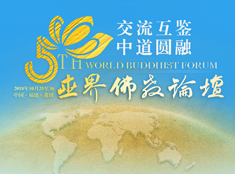 to the Fifth World Buddhist Forum, Fujian Province, PR. China. On behalf of Lao Buddhist Fellowship Organization, Lao Buddhist delegation and Lao Buddhist people of ethnics’ groups. It is my pleasure and honor to lead the Buddhist delegation from Lao PDR to participate the Fifth World Buddhist Forum. 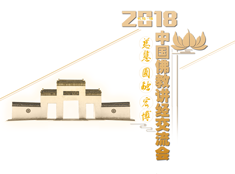 I would like to express my compliments and thank to the Buddhist Association of China, as well as the Government of People’s Republic of China and particularly to Secretariat of the Fifth World Buddhist Forum as Chairman of the organization committee. 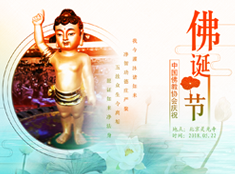 This event is a significant which have impact of history Buddhism. My delegation highly appreciates to the organizing committee of the Fifth World Buddhist Forum as it provides an impressive taking this opportunity to exchange suggestions. The Forum’s topics and contents are practical and meet the demand of the time as well. My deep understanding, we are Shakyamuni Buddha’s disciples and members in the same family “The Lord Buddha is great Teacher for us”. Therefore, we all follow the same teachings of the Buddha and should join hand in unity focusing our efforts together to fulfill the holy mission as well as benefitting and for happiness of all humanities. The Lao People’s Democratic Republic is a close neighbor of the P.R. China. Over 90% of its total population believes in Buddhism, the oldest one which has entered our country about over 7 centuries for propagation and still prosper nowadays. Therefore the Theravada Buddhism has remarkable influence on the political, economic, cultural and social life of the Lao people. Buddhism has played significant role in Human resources development in our country and has been important in regard to educating spiritual mind of the Lao Buddhist followers.